Prestige Alcott Satin Nickel Entry Door Knob featuring SmartKey Baldwin Hardware has a rich heritage of delivering modern luxury to discriminating homeowners. Baldwin Prestige Series offers effortless, accessible style and luxury. With the Baldwin Prestige Series, any homeowner can instantly create an atmosphere of confidence from the moment someone knocks on the door. Baldwin Prestige Series is affordable luxury. The Baldwin Prestige Alcott Knob features a classic-round traditional inspired design which is offered in keyed-entry, passage, privacy, and half dummy functions. 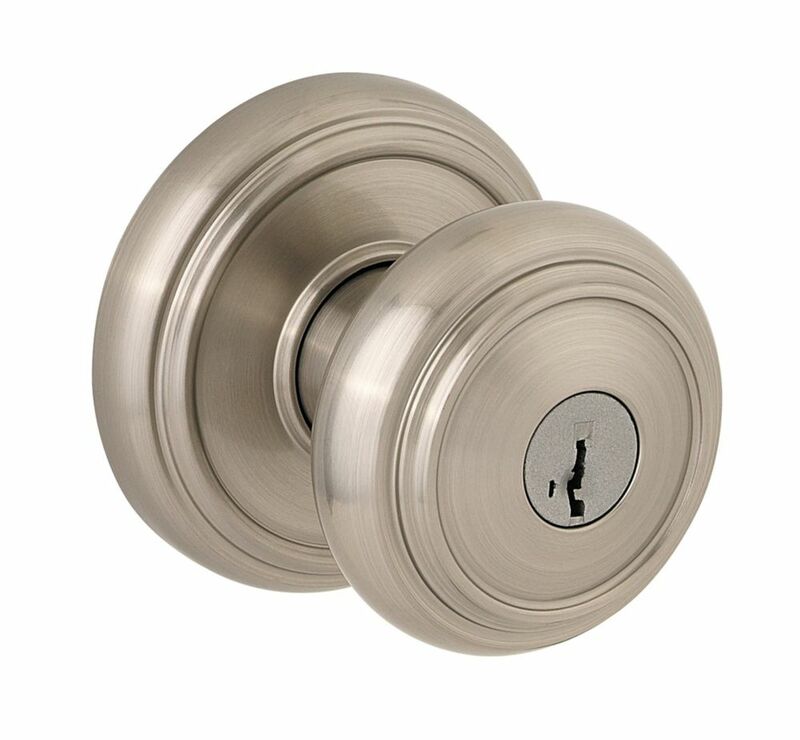 Prestige Alcott Satin Nickel Entry Door Knob featuring SmartKey is rated 4.4 out of 5 by 65. Rated 5 out of 5 by Laura from I purchased Baldwin for an interior door and was highly... I purchased Baldwin for an interior door and was highly impressed with the quality, so that's the brand I chose for some exterior doors. As before, the knobs are of high quality and look beautiful. The smart key is so easy and being able to use the same key everywhere is awesome! Rated 1 out of 5 by HomeDepotCustomer from Not sure if it was a one off but this... Not sure if it was a one off but this lock failed 4 times before i returned it. purchased a different lock and it works perfectly. Rated 5 out of 5 by AA from The look, finish and function is great. I did not... The look, finish and function is great. I did not install but it did not take long for my husband to do. Originally bought another brand that cost a little less that was garbage. Malfunctioned in less than a week. Returned it and bought the Baldwin. Much better product! !